Revolutionary “blockchain” technology that could transform how the world does business is to be tested by the Start Network through the Start Fund, in the first ever trial of its use in rapid response to humanitarian crisis. The project by the Start Network will seek to harness the power of the same digital innovation that enabled the bitcoin, to speed up distribution of aid funding and trace exactly how it is spent. The ultimate aim would be to track every pound in aid, from original donor to each individual assisted. The attempt to develop what Blockchain enthusiasts describe as “radical transparency and accountability” has been made possible by a €50,000 grant from the government of Estonia, which is leading the world in its drive to adopt the new technology. It aims to make the delivery of humanitarian aid more effective, transparent and accountable. Among Blockchain applications that may be used are so-called “smart contracts” that reduce response times and transaction costs. Announcing the grant today Jüri Seilenthal, a senior official at Estonia’s Ministry of Foreign Affairs, said one shortcoming of the current humanitarian system was how long it takes to disburse funds to agencies on the ground in a crisis. “Innovative solutions - such as digital ledgers that help outline the measures needed to respond, make financial decisions and share information - make the humanitarian aid system faster and more transparent,” said Mr Seilenthal, director-general of the ministry’s external economic and development cooperation department. Annemarie Poorterman, who will manage the project for Start Network said: “We now have the exciting prospect of being able to provide the first clear evidence that this technology could transform the humanitarian system – by testing how we can put it into practice. Enhance transparency by developing a form of “digital ledger” for use in all Start Fund transactions. Blockchain’s potential to revolutionise ways of working has been likened to the early development of the internet. In the report - Distributed ledger technology: beyond block chain - published earlier this year Britain’s chief scientist, Sir Mark Walport, urged the UK government to take the lead in using the technology which he said had “the potential to redefine the relationship between government and the citizen in terms of data sharing, transparency and trust.” Banks and other institutions have formed consortia and set up technology research labs to investigate what it may mean – with some predicting less need for many of the current financial intermediaries. Blockchain “has the potential to transform the humanitarian sector by providing cost savings and traceability of information flows, and by reducing transaction times”. Potential uses are in information management, identification, supply chain tracking, cash programming and humanitarian financing. Since the technology can offer solutions to existing humanitarian challenges, it may be wise to begin studying its impact and experimenting with future implementation. 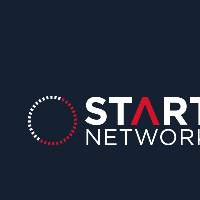 Start Network began investigating the potential of Blockchain technology early this year. It will continue its collaboration with ConsenSys, one of the global leaders in developing decentralised software on the Ethereum blockchain. Start Network’s members range from high-profile international aid agencies to national NGOs in countries such as Kenya, Mexico and Jordan. Sam Crago, deputy humanitarian director at Relief International, who will be involved in the testing for the Start Fund, said: “The potential disruptive nature of Blockchain on the status quo has exciting implications for the humanitarian sector. It's fantastic to see Start testing out some of the applications of blockchain related to humanitarian funding systems". The Start Fund has responded to more than 80 crises since it was launched in April 2014 with a remit to respond to small-to-medium-scale emergencies that would otherwise be overlooked. Read more about the Start Fund. Read the report Distributed ledger technology: beyond block chain.